From the ludicrous scenarios of No Time to Explain to the chaotic races of Speedrunners, Tinybuild is known for having games with interesting premises. With this in mind, I was not surprised by what I saw in the announcement of Party Hard. The best way I can describe it is an absurd retro Hitman with a touch of Monaco. If Bullfrog's "Theme" series had made a murder based game (Theme Hospital doesn't count), the result would have looked much like this. 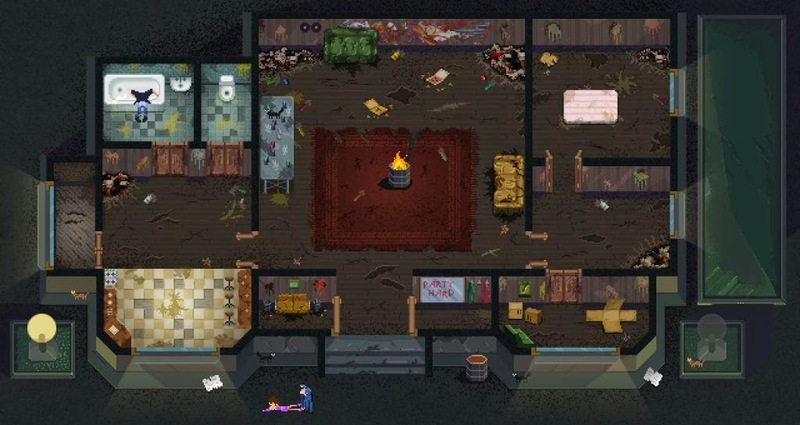 Tinybuild describes Party Hard as a "stabby-stabby dance simulator." Your awful neighbors are having a loud party in the wee hours of the morning and you've had enough. Your goal is to murder every one of the partygoers without being caught. Throughout each of the dozen or so scenarios are elements that you can interact with. Leave the gas on on the stove, sabotage an electrical box, precariously lean a shelf over, tip a tree through a window. Some of the traps you'll be able to set will require multiple steps to complete but will promise hilarious results. If all else fails, stab folks. 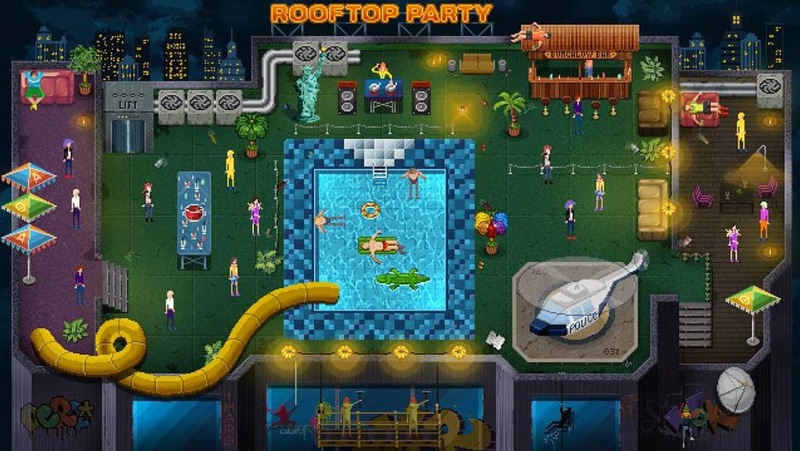 Everything about Party Hard is meant to be ridiculous. None of this game is to be taken seriously. Party Hard was created at the latest Global Game Jam by Pinokl Games, an indie team based out of Ukraine that, until now, made family games. After the game jam, Tinybuild approached the original developers and offered to back the team and help publish a larger version of the demo they produced. The original demo was created in Flash, but the full version will be built in Unity. So far, the plan is to publish on Steam, iOS and Android first, then follow with a console release later. 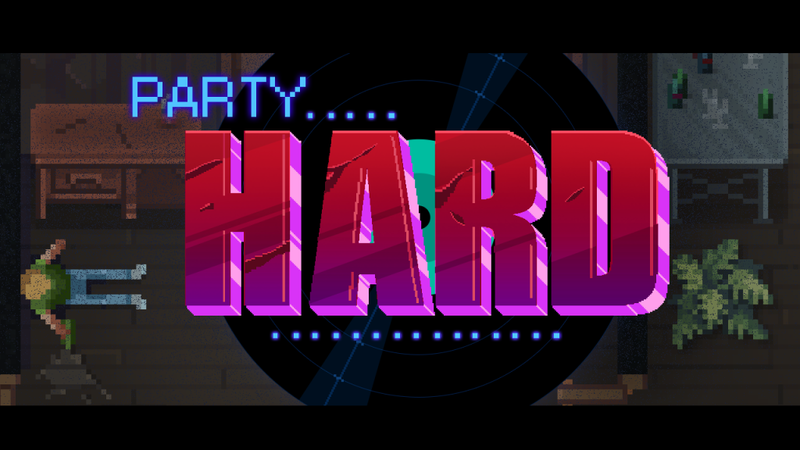 Party Hard doesn't have a hard release date as of yet but is aimed to release later this year. Keep an eye out for this one. The Flash demo has become a huge hit with Twitch and Youtubers alike; I can only speculate, but I expect the full version will be even more popular.